Costco Coming to a Mall Near You? Can you picture going to your local mall and shopping at Costco? That is about to become a reality very soon. The Westfield Group announced an agreement with Costco Wholesale to put the popular warehouse store in three of its malls: Westfield Topanga in Canoga Park, CA; Westfield Sarasota Square in Sarasota, FL; and Westfield Wheaton, in Wheaton, MD. And if things go well I’m sure they’ll extend their partnership to fill up now vacant department stores at more of Westfield’s 119 malls and shopping centers. The first store is slated to open in late 2011/early 2012. So what do you think of this? I know I only visit my local mall once every couple months or so. I could see how this might increase my spending at other stores at the mall, since I average a trip to Costco about once a week. And with all the current vacant space, it makes sense for mall owners to bring in Costco. On the other hand, there’s a good chance I’ll shop at Costco and go straight home, whether it’s because I bought a large item (TV, dresser, etc.) or because I bought a lot of frozen/refrigerated items, like I usually do. I think the biggest downfall to all this is that mall parking is much worse than Costco parking, so it will make the shopping experience more unpleasant. Also, the Wheaton location would be on the second story of the mall and I couldn’t imagine lugging a couch down to the first story, through the mall and mall parking lot, and to my car. That would be frustrating. 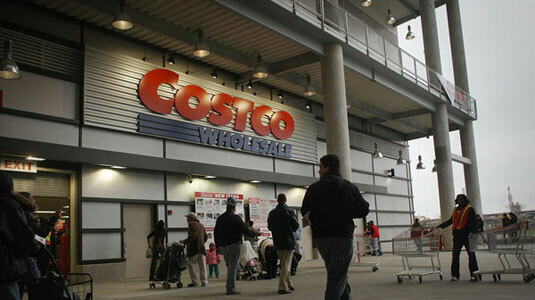 What do you think of having a Costco in a mall? Good idea or bad? At least for mall spots Costco won’t be getting local governments to condemn private property under eminent domain and transfer it to the retailer. The Westfield/Costco for Sarasota has run into some serious “snags” and is now in jeopardy.